Stashpix 2.0 is now available on the app store for FREE. Stashpix lets you find and leave behind photos wherever you go. Instead of broadcasting them to your friends far and wide, they are left for others to discover only when they are near the stash – at the moment or in the future. 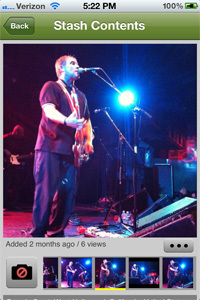 Based on feedback from users, Stashpix 2.0 introduces several new features to enhance this unique experience. 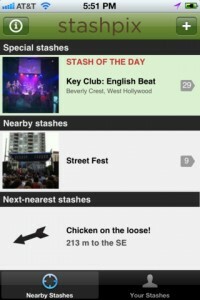 In addition to showing the stashes at your location, Stashpix now shows you the distance and direction to the 10 next-nearest stashes. So, you’ll always be able to find the stashes closest to you. Second, stashes you have created can be viewed on a world map, in addition to a list view, allowing you to view their contents and remember your travels. 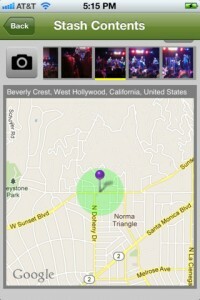 Finally, you can now add pictures to stashes you’ve created even after you’ve left the location, for 7 days. This way, you can make a stash in-the-moment, then curate it later, and/or add images from your DSLR. In a world full of photo sharing apps, Stashpix offers a truly unique experience. If you’re not already a Stashpix user, visit stashpix.com and be sure to watch the short animated video that explains the core philosophy of the app. One of the challenges we faced with Stashpix was how to let users control their content while remaining anonymous, and retaining that control across repeated installations and multiple devices. We also needed to be able to ban abusive users. It’s a free upgrade for existing users, and we’re sticking with the introductory price of 99 cents for new users. We also have a fun new video on our website: www.stashpix.com. 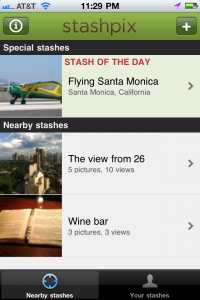 Whether you’re already a Stashpix user or checking it out for the first time, it’s worth 52 seconds, so take a look! So, we’re trying something creative ourselves. If you create or contribute to a stash in one of the 6 categories below, you might win a $25 iTunes gift card. We’ll be picking a winner from each category at the end of September, and we’ll post the results right here on our blog. 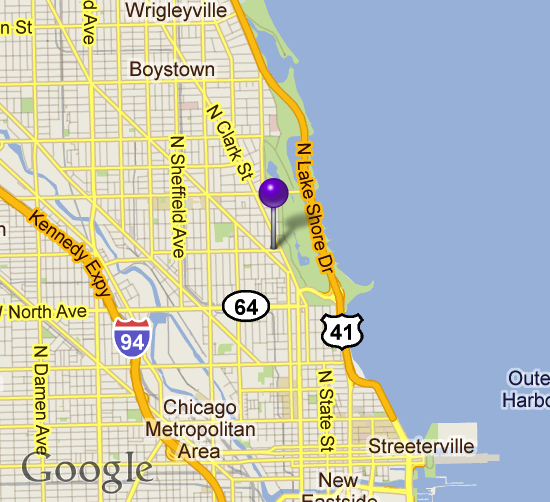 In addition to a few bug fixes and behind-the-scenes enhancements, Stashpix 1.01 now displays stashes on a map instead of displaying their coordinates. 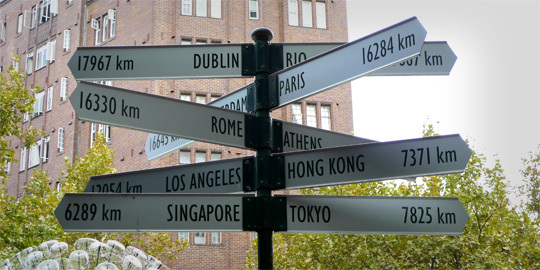 We did this because maps are an interesting visual, and to add a bit of extra privacy. Thanks for checking out Stashpix. We plan to use this blog and our twitter account @stashpix to discuss the app, answer questions, get your feedback, and keep you posted on our progress, plans, and even pitfalls. So, with this first post, we’d like to explain a bit more about Stashpix than we have already on stashpix.com. 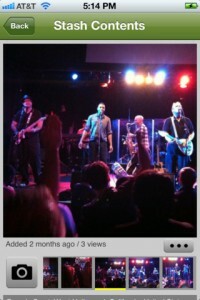 This is a blog about the iPhone app Stashpix. 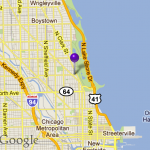 Find and leave behind photos wherever you go! For more info check out stashpix.com and our about page.